Akamai Technologies, Inc has been established by Mr. Daniel. M. Lewin and Tom Leighton in the year 1998. It deals into content delivery network in internet and has biggest distribution computing platform all over the world. The company's chairman and CEO are Mr. George H. Conrades and Mr. Tom Leighton respectively. It has around 3000 employees as per report stated on 2013 January. It assists online businesses to prosper by reinventing their online businesses respectively. It helps customers to get better security, visibility as well as reliability. Its specialties are Acceleration, Security, Online Affairs, Mobile, Connecting devices and lots more. There are currently 0 consumer reviews about Akamai Technologies, Inc available. Share your review. 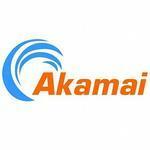 Please take a note that you are about to post a public review about Akamai Technologies, Inc corporate office on CorporateOffice.com. This review will be public, so please do not post any of your personal information on this website. If you would like to contact the corporate offices of Akamai Technologies, Inc, please use their contact information such as their phone number, website, and address listed above to contact them. However, sometimes staff from Akamai Technologies, Inc headquarters do read the reviews on this website.